loaded looks back at Tim Burton’s intensely dark Batman effort. Batman Returns Danny Devito and Michael Keaton Image Warner Bros.
Batman Returns is not only the darkest incarnation of the Caped Crusader to ever make it to the big screen, it’s also a secret Christmas movie to rival the likes of Die Hard. 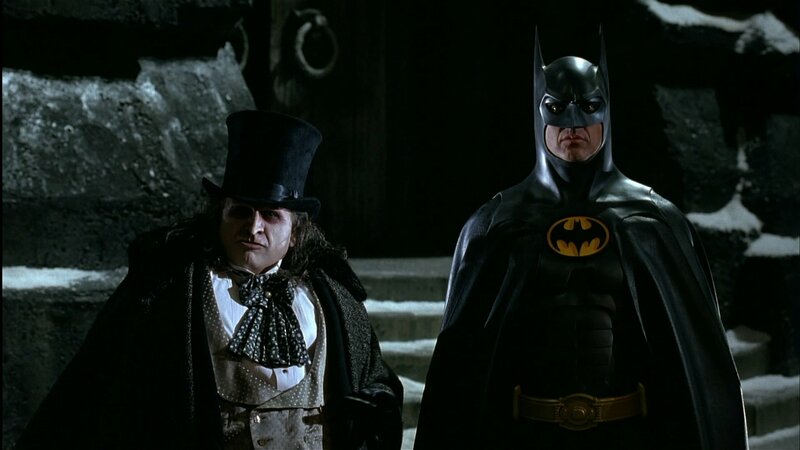 Introducing a triumvirate of villainy in the form of Danny DeVito, Michelle Pfeiffer and Christopher Walken alongside Michael Keaton’s already-established Bruce Wayne/Batman, it’s funny, dark and scary reminder of just how brilliant Tim Burton could be. It’s also a film packed full of fascinating stories and trivia nuggets that are well worth revisiting, 25 years on from the film’s big screen debut. Here are 17 things you never knew about Batman Returns. 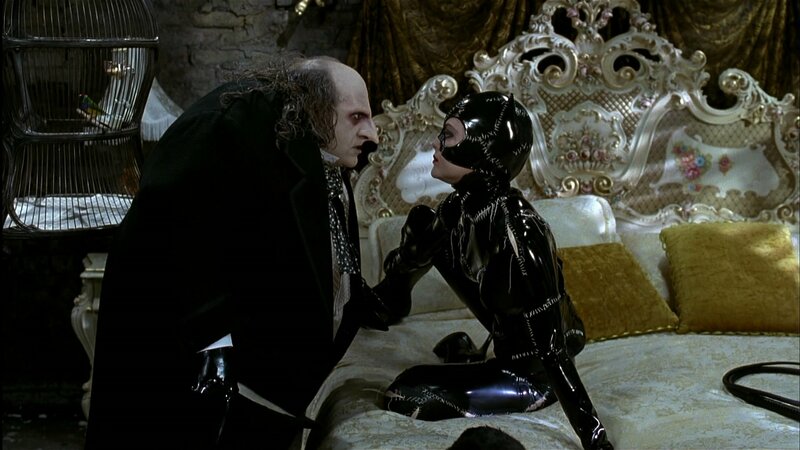 The original script for Batman Returns was markedly different with Catwoman and the Penguin teaming up to search for a secret, hidden treasure. It was Heathers screenwriter Daniel Waters who shifted the story away from that search for treasure and on to a more satirical tale about the Penguin running for mayor. Supposedly inspired by the 1960s TV series, the new script also introduced an entirely new villain, the businessman Max Schreck. Michael Keaton actually went through Waters’ updated script, cutting his own lines. He firmly believed that his version of Batman/Bruce Wayne was a man of few words, which meant fans missed out on some memorable dialogue. Despite largely stealing the show from a cast featuring Michael Keaton, Danny DeVito and Christopher Walken, Michelle Pfeiffer wasn’t actually first choice to play Catwoman. 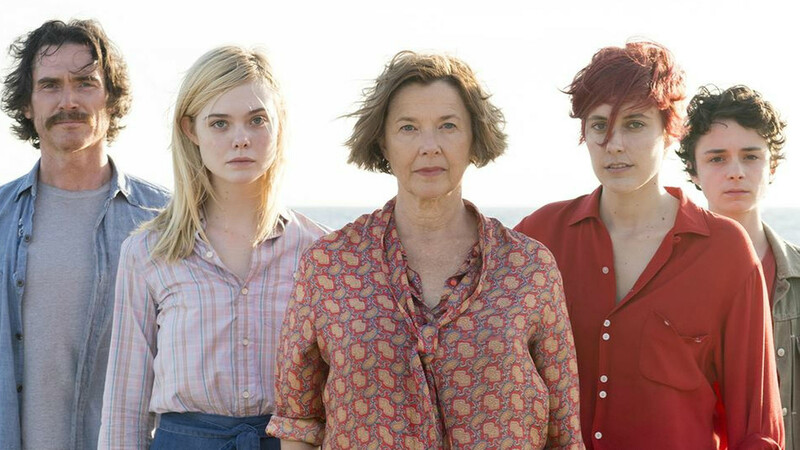 Instead, producers were keen on Annette Bening for the part and she was even cast in the role before she was forced to pull out after discovering she was pregnant. David Bowie was also tapped up for a role in Batman Returns. He was the first choice to play evil business mogul Max Schreck. 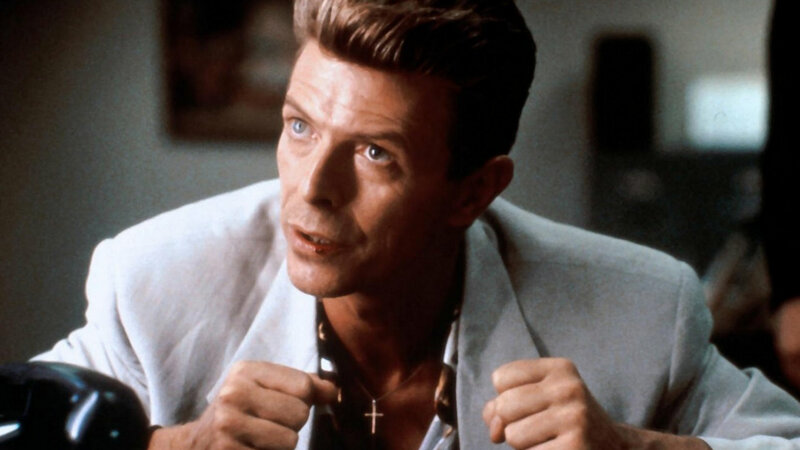 Bowie turned the part down though with Christopher Walken stepping in, in his place. It was the second time Walken had landed a role rejected by Bowie, with the first being that of Max Zorin in the James Bond effort A View To A Kill. Pfeiffer ranks the Catwoman suit as the most uncomfortable she had ever worn. It required a team of people to powder her down before squeezing her in the vacuum-pack suit. Her face mask, meanwhile, was painful and, at times, difficult to breathe in. DeVito’s Penguin costume was equally awkward. It took around four-and-a-half hourst of make-up and costume to get him ready for a single day of shooting, thanks to his memorably pale skin, face prosthetics and reams and reams of padding. Pfeiffer actually held a live bird in her mouth in one memorable scene that’s often debated by fans. Long before CGI became commonplace, the actress agreed to hold the bird in her mouth for four to five seconds in one memorable take that made it into the finished film. To this day, even Pfeiffer doesn’t know why she agreed to something so potentially dangerous. McDonald’s had planned a Happy Meal tie-in with the movie but eventually had to scrap those plans after several complaints from parents concerned at the film’s dark, violent tone. They weren’t alone in feeling this – McDonald’s had contacted Tim Burton during filming to express concerns over a scene in which black bile oozes from the Penguin’s mouth. Despite their misgivings, it remained in the film. There were also some concerns among animal rights protesters, at proposed plans for penguins with rockets strapped to their backs. The reality could not have been further from that though, with the penguins on set treated like kings. They had their own swimming pool, special dressing rooms and all the fresh fish they could eat. 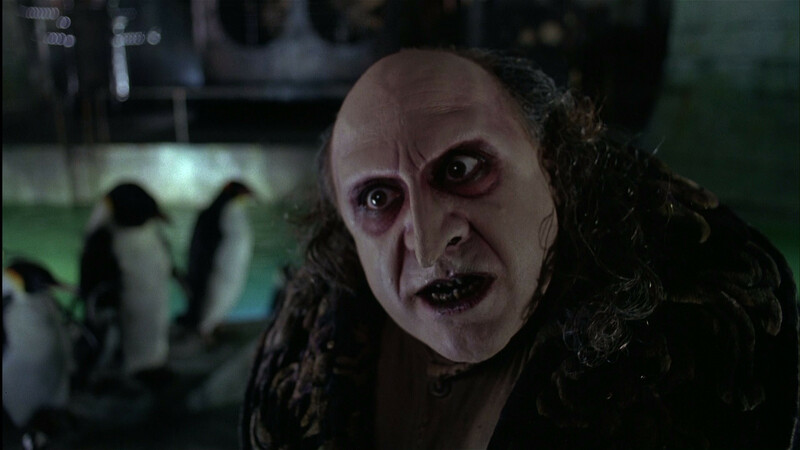 In character Always Image Warner Bros.
DeVito remained in character as the Penguin throughout filming, maintaining the characters deep, gravelly voice at all times. Walken also stayed in character and had a habit of scaring Burton on set with his mere presence. It’s something of an unwritten rule that Batman never actually kills anyone but Burton has never been a stickler for rules. In one scene, he even added in a Batman kill, with the Caped Crusader caught on film throwing a bomb back at a clown hoodlum, consigning him to death in the first place. The strange thing was that the kill didn’t even feature in the original script – Burton added it in. 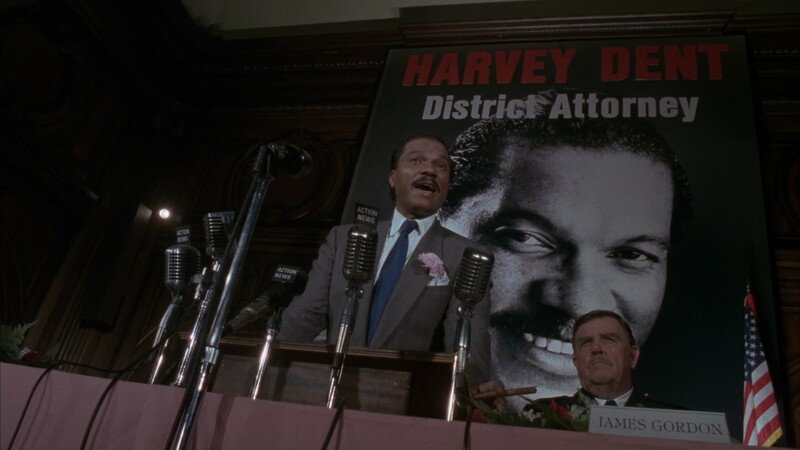 The original plan had been for Billy Dee Williams to reprise his role as Harvey Dent and eventually become the arch-villain Two Face with a view to being the main baddie in the next Batman outing. The plan was to have him disfigured by Catwoman, who would have held a taser to his face. These plans were eventually scrapped though with Williams later paid off and replaced by Tommy Lee Jones in Batman Forever. The ending of the film was also changed two weeks before release. In the original script, Waters never intended for the door to be left open for Pfeiffer’s Selina Kyle to survive. She was supposed to be as dead as a dodo by the end of the movie. However, test screenings revealed that audiences responded positively to her character, so the hint that she is still alive was added in. 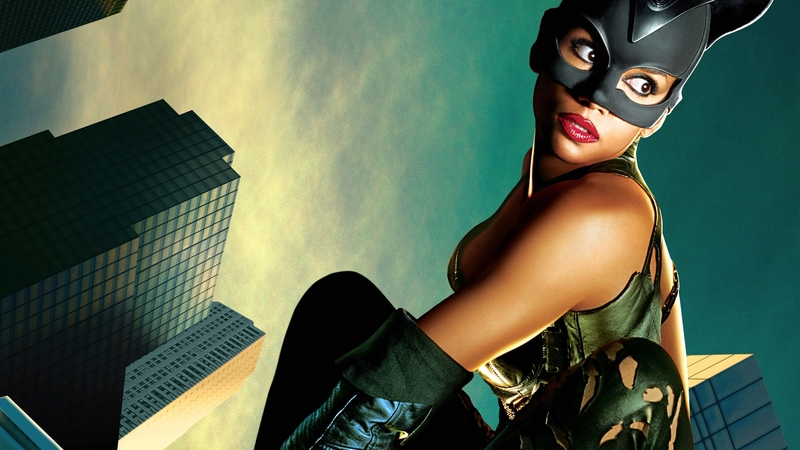 Catwoman The worst comic book movie of all-time? That extra scene was added in as part of a planned spin-off starring Pfeiffer, which never materialised. Studio chiefs were so eager to include it, they willing spent $250,000 in hiring a body double and refilming the scene. Alas, no spin-off ever materialised with motherhood and other projects preventing Pfeiffer from signing on. In the end, the project didn’t reemerge until 2004’s Halle Berry horror show. 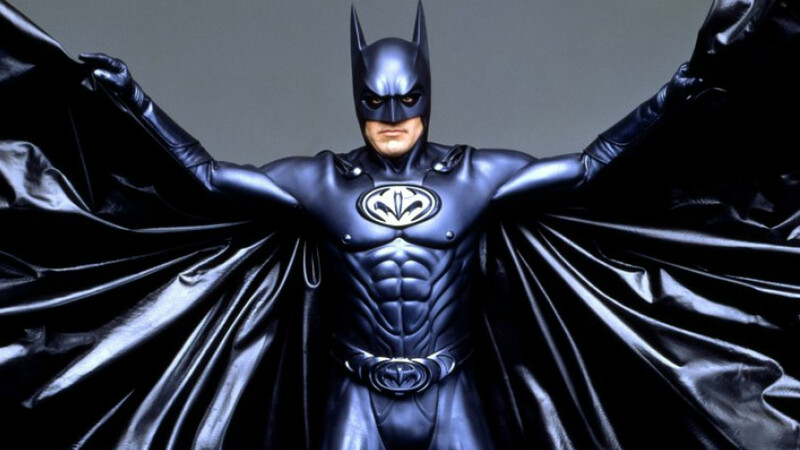 Burton believes he was pushed out of the franchise as a result of Batman Returns’ darker tone. Warner Bros. told him they had been inundated with letters of complaint from parents who claimed the film had scared their children. They were also eager to explain more family-friendly franchise options like toys and food tie-ins. Michael Keaton stepped away from Batman the minute Joel Schumacher, who had been hired to direct Batman Forever, asked “Why does everything have to be so dark?” To this day, he claims to have never watched Batman Returns all the way through.